I chose Backpack Journalism over traditional courses because I believe it offered experiences that are beyond the abilities of traditional learning and would enhance my life. I was attracted to backpack journalism because of the many things it had to offer. Some of the things that drew me into backpack journalism are gaining course credit while studying abroad, participating in the creation of a documentary from beginning to end with a group of individuals, experiencing another country, and adding to my current skill set. I learn best from hand on experience and cannot think of a better way to do that than through the participation of an actual project; the project location is an added bonus. I feel that graduating with ‘real world’ experience will help me in my future. I am not entirely sure what I hope to gain from the experience. I assume that I will gain much more than I could possibly imagine at this point because I have never traveled outside of the United States. I am convinced that I will gain skills working with video, knowledge about the refugees in Uganda and a new perspective of the world. I have intentionally not considered what I want from the trip because I don’t know what to expect and I am more likely to embrace whatever happens by not having preconceived notions. I typically plan things out well in advance and this trip leaves me feeling like I am standing on the edge of a cliff. It is exciting and scary at times. I look forward to the experience: good, bad, and neutral. As the two white Creighton vans pulled out of the McGloin parking lot this morning, it was and still is difficult for me to fully comprehend what’s ahead. Nothing is ever what you expect it to be. This past week has been amazing and surprising and I’ve learned so much but we’ve only scratched the surface. A big part of me still can’t believe I’m lucky enough to be doing this. It’s an interesting juxtaposition: I have an amazing opportunity to capture people’s lack of opportunity. In my first ever college journalism class, the first thing my teacher emphasized to us was the centrality of storytelling in journalism. Ever since then, I’ve been obsessed with this idea of long-form, narrative journalism. In my first ever Creighton class, my theology teacher emphasized to the class the importance of using your degree for social justice. That is also something that has stuck with me. That’s why I find it so incredibly humbling to use the power of storytelling to hopefully do some good in the world. It’s scary to be actually moving forward with this work because it’s something that I care so much about doing in the long-term. It’s also incredibly exciting. I feel confident in what I’ve learned so far, but I’m definitely nervous about applying this knowledge in a real and meaningful way. The amazing group I get to work with! With less than 8 hours before we hit the road to head to Nogales, I really should be getting some rest, but I’m much too excited. After five days of weirdly exhausting boot camp, I couldn’t be more antsy to get to work. I’m a strongly visual person, and so when I daydream about the future, a strong image usually comes to mind. In this case, I have no strong image, no vague image, no image at all in imagining what lies ahead. The next two weeks are so close I can feel my heart beginning to race, but I truly have no idea what I’m getting myself into here. More than anything, I’m overwhelmed and overjoyed with a feeling of gratitude. Gratitude for a university that values faith and justice. 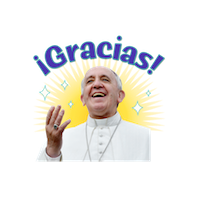 Gratitude for professors that invest their entire hearts and souls to the Jesuit mission. Gratitude for an opportunity to put four years of study, reflection, practice, and intentionality to work in one last Creighton adventure. And last, but not least, one last road trip in the good old 12-passenger vans. Hello to anyone reading this blog! My name is Catherine Morehouse, I’m a rising junior here at Creighton, and I’m double majoring in Journalism, News Track and International Relations. I’m so, so excited for the opportunity to go on this incredible trip! The first time I ever heard about the journalism backpacking program was when I was actually a first semester freshman at Boston University. I was pretty sure I wanted to transfer and pretty sure Creighton was the school I wanted to transfer to. It had originally been my first choice school, but a variety of factors had led me away from that direction and towards the east coast instead. The main factor that had led me to BU was the strength of their journalism program, and my biggest fear was that I wouldn’t have good opportunities to pursue journalism if I decided to switch to a school that wasn’t necessarily known for its journalism program. However, after looking into the backpacking program, as well as other aspects of Creighton’s journalism department, I realized Creighton had plenty of opportunity for me to get involved and do really cool things as a journalism student. The backpacking trip really intrigued me though, and was something I was really hoping to have the opportunity to get involved with. Flash forward 1.5 years later and here I am at the best department at the best school on earth! I’m so happy to be here and to have this incredible opportunity. I feel like I have so much learning ahead of me in the next few weeks and I am beyond excited to see where we get at the end of it all! Greetings! Maria Watson here, facing a daunting task of putting words to my hopes and anticipations for my Backpack Journalism experience. 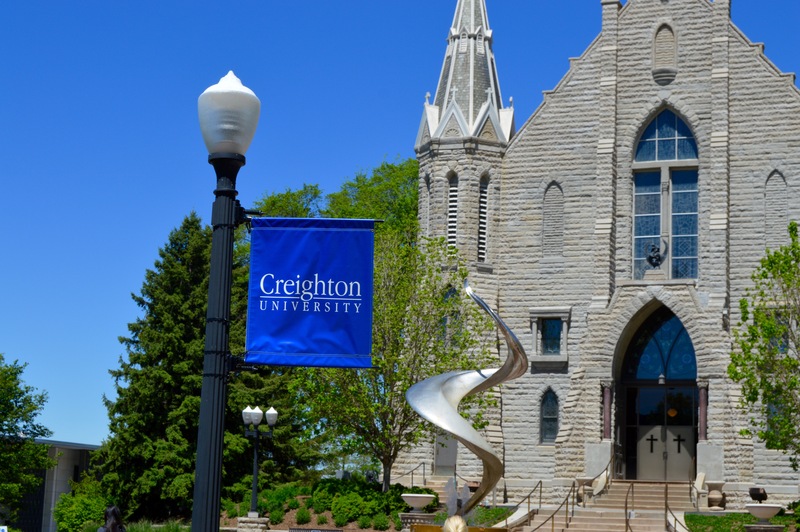 I recently (two days ago) graduated from the beautifully Jesuit Nebraskan paradise, Creighton University. Is there a more appropriate way to celebrate my newly acquired “adult” status than to have one last earth-shattering Creighton-led immersion? 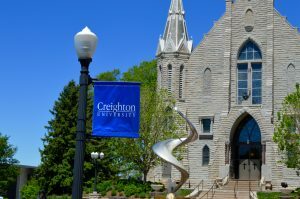 For those of you unfamiliar, Catholic Jesuit philosophy serves as the backbone of the Creighton experience, challenging students to love more, serve others for the greater glory of God, care truly for each human we encounter, and believe in the power and beauty of community, faith, and justice. It pushes us to think about life through lenses of empathy, critical thought, and hopefulness. With that in mind, it’s all too natural that the Journalism and Theology departments here at Creighton partner to host a “Backpack Journalism” program that travels the world searching for stories that have the ability to shed new light on faith and justice issues in the greater community outside of our own Creighton bubble. 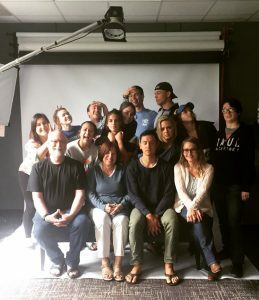 Students and faculty/staff members work together to create a documentary striving to capture the essence of culture witnessed and stories told during the experience. This year, I’m honored to be a part of this adventure, and in only five days, twelve students and four faculty/staff members will be packing up two twelve-passenger vans to make the 20+ hour trek to Nogales, Arizona and Nogales, Mexico. We will be spending the following two weeks exploring stories of migration from both sides of the Mexican-American border. So why did I choose to embark on this pilgrimage, you may ask? With a deeply rooted love and appreciation for both Jesuit tradition and journalism, I have dreamt of being a part of the Backpack Journalism experience since I was a freshman at Creighton. I was ecstatic when I learned that the project this year would center around border culture because it’s an increasingly relevant issue in today’s world. I absolutely love the idea of being a voice for the voiceless to shed a bit of light on the migrant situation in the midst of such controversy and political tension — hopefully fostering at least a little bit of hope along the way. While I have heard from many that I will walk away from Nogales with a broken heart for the people suffering from the injustices of the system, I have faith that we will find some strength in learning about the selfless individuals that live and serve on the border as their vocation at the Kino Border Initiative. 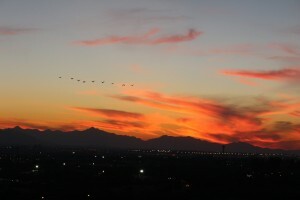 I’m not sure exactly what we’re getting ourselves into here, but I do know that Arizona sunsets and sunrises are the stuff of legends, and no matter what happens, seeing the cycles of the Arizona sun for two weeks will remind me that life continues to be inherently beautiful and that no matter how hard it gets, there is always something to be looking forward to in the coming day. Over the course of the next 5 weeks, all of us participants will be writing here to keep you updated on our progress and stories as we dive into the border culture of Nogales. Please, keep us in your prayers for safe travels, strength, and open minds and hearts for what God has in store for us. After turning right and following the curve on Akiak Drive in the heart of Bethel, five buildings stand in a row, taking up about the space of two blocks. The three main buildings, placed one right after the other, are white with red roofs. The two other buildings, placed with space between them, are a light blue color. This is the Kuskokwim campus (KuC) of the University of Alaska Fairbanks (UAF) system, which according to its website, is the largest rural campus in the system. KuC serves about 150-200 full-time and part-time students who take on-campus or distanced classes. KuC offers certificate programs, an Associate of Applied Science program, an Associate of Arts program and a Bachelor’s degree program. Distanced classes exist to serve those students who live in the rural villages surrounding Bethel. Although many of the students who attend KuC live in outside rural villages, the campus has one dormitory, Sackett Hall, which holds 38 students. According to McIntyre, often times students who don’t have relatives in Bethel or can’t afford off-campus housing but want an one-on-one relationship with their educators live in the dorm. View our video about Sackett Hall here. Much like Creighton Univeristy, KuC has a higher enrollment of females than males. Unlike Creighton, the majority of students of KuC are older than the average college age of 18-22 years old. “A lot of the students who are thinking about working in an organization with higher pay are those who went to school, dropped out and came back, because they know they have to have a degree to get a good paying job because everything is so expensive here,” McIntyre said. A unique aspect of KuC includes the opportunity for students to take Yup’ik language and culture classes in order to make sure the Yup’ik practices are passed on to a younger generation. 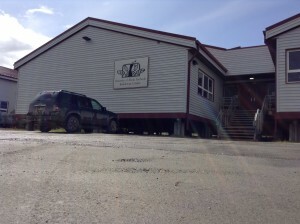 McIntyre hopes that enrollment at KuC increases in the future. From the mountains of Montana to the beaches of the Dominican Republic to the tundra of Alaska, Erin Kurvers has set out to see the world. The Minnesota native loves to travel, a passion that has guided her and shaped much of her life. Growing up, Kurvers traveled to Montana where she went skiing, visited Yellowstone National Park and spent time with family. “My all-time favorite place would be Montana. My cousins live there, and every Thanksgiving we would drive out to see them. They have this cool house where our entire extended family would go and hang out. It’s just a home away from home,” the 20-year-old said with a smile. Early in her life, she also developed compassion for others and their experiences, which has served her well during her travels. Her desire to travel and meet new people led her to attend college at Creighton University. “I knew I wanted to go somewhere out of the state of Minnesota. I love Minnesota, but I just needed to get out and see different parts of the world and different people from different places. And I liked that Creighton brought together people from lots of places,” Kurvers explained. Once she was in college, finding a major that both interested her and fulfilled her love of travel was a challenge. “I have always had a really hard time figuring out what I wanted to do because I kind of like everything. I loved my history classes in high school, but I also loved my science and English classes. I loved it all, so I didn’t know how to narrow it down,” Kurvers said. In high school she had the idea of becoming an investigative journalist but wasn’t sure it was the best fit. She took a few journalism classes right away in college but wasn’t totally convinced until the spring semester of her sophomore year when she participated in EncuentroDominicano, a living and learning program in the Dominican Republic. “I knew from the moment I first came here that I wanted to do the Backpack Journalism Program and also that I wanted to study abroad. 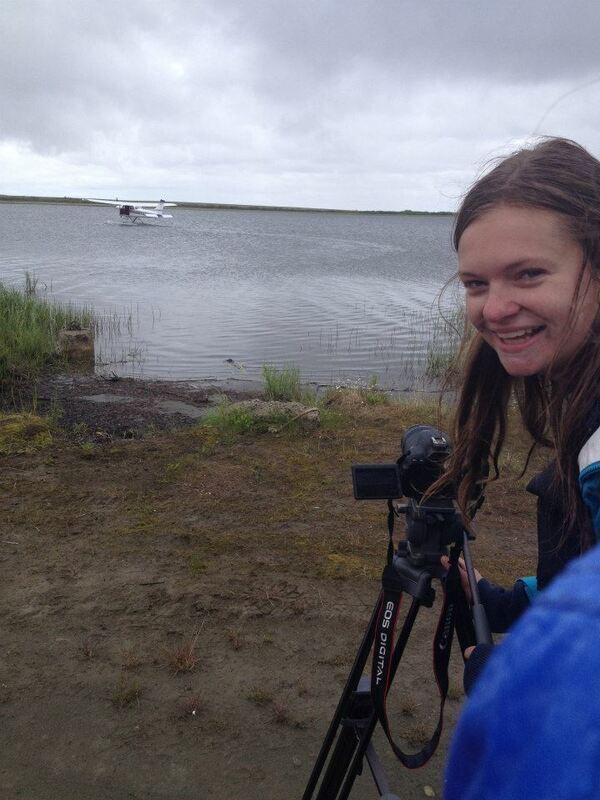 Those two experiences made me want to do journalism more than after my first journalism classes.” she said. In the DR, Kurvers took various classes, performed service and was immersed in a new culture. During her time in the country, she wrote about experiences for The Creightonian. “When I was in the DR, I was doing exactly what I want to do: meeting people from different places and learning about their life and how different it is. The people there were just amazing. You learn how to open up your world view and realize that where we come from really affects us a lot. Then doing the Backpack Journalism Program made me realize that, wow, I really do like this and that this is something I would like to do for a career,” the Creighton junior said. Although she is currently a journalism major, she is still exploring the possibility of minors in Spanish and international relations. In addition, she hopes to go into the Peace Corps for two years after graduating from Creighton. “I think what I want to accomplish with my life, in general, is just that I want to do something that is benefiting the world in some way. My most terrifying thought would be working in a business where I am just sitting there doing stuff to make money for a company. I understand that that’s how the world works and we need that part of the world, but personally for me I want to actually be doing something physically that I can see is changing the world in some way,” she said.